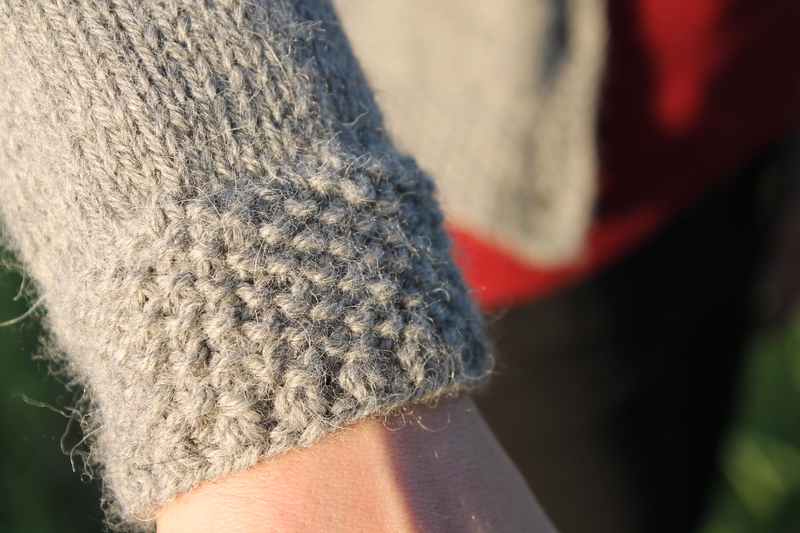 It took me a long time but I finally published my first commercial knitting pattern on Ravelry. Guess I’m an entrepreneur now ;) It was along way, mostly because I feared all the bureaucracy one faces here in Germany when trying to make a little money with something. 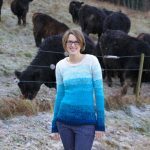 But I pushed trough and from today on you can buy my pattern on Raverly :) However right now Ravelry is the only source for the pattern. 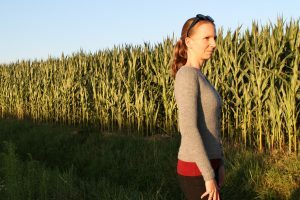 It was much easier for me to let Ravelry take care of the shop and payment and taxes. Maybe some day I will open my own web shop here. 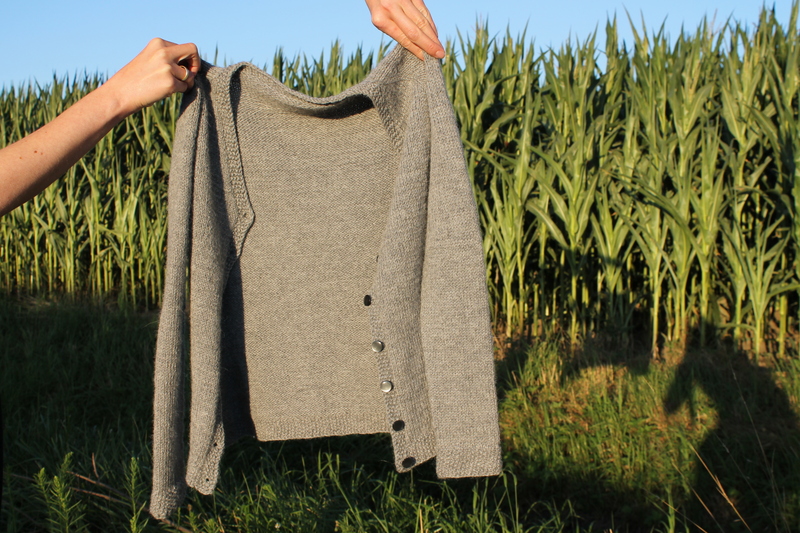 The cardigan is best worn with 0 to 3 cm negative ease. 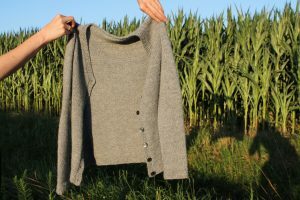 The cardigan features long sleeves and ends a little above the hip. 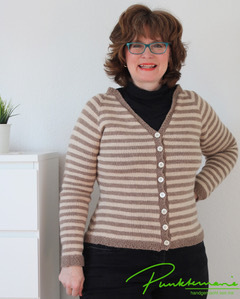 You can download the pattern in German and in English. 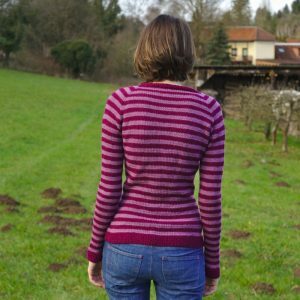 I have included tips for knitting stripes in the round and the instructions guide you through the color changes for the stripes for the first few rows. But later on, when the color changing gets more inconsistent because the different sizes need different amounts of rows and thus need more or less color changes, you are required to remember to change the color after ever fourth row by yourself. The instructions are very detailed and everything is explained row by row (or round by round). 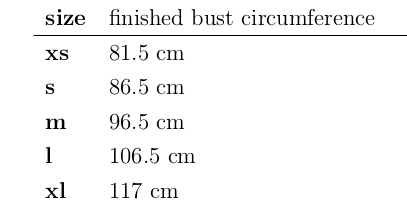 To keep the document short I use common knitting abbreviations in the pattern (like k for knit). All of them are explained in a glossary. 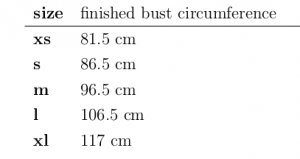 The instructions also contain a detailed measurement diagram. same yardages of a similar yarn in DK weight). The ribbings are knit in color A. Please note that all measurements and needle sizes are only given in metric units and not in imperial units. My test knitters helped a lot with the realization of this pattern. I got so much valuable feedback from Susanne, Brigitte and Lilia. You can find Brigitte’s blogpost about the cardigan here and here project notes on Ravelry here. Lilia’s notes can be found on Ravelry here. 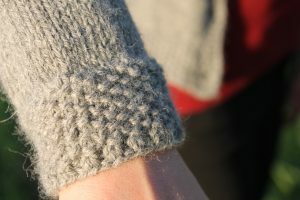 If you enter the coupon code FirstPattern you’ll get 30 % on the pattern until July 31st. 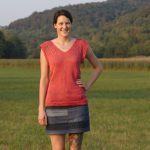 You don’t have to be a Ravelry member to buy patterns there by the way. The payment however is only possible via PayPal. This entry was posted in Tutorial on 14. July 2018 by Katharina. I bought the pattern for the price of a cup of coffee, so money very well spent! I’d like to say that I’m going to spin my own yarn, but I’m useless, but I am going to dye my own yarn, so I feel quite excited by the prospect of knitting this lovely cardigan. Thank you Katharina and good luck with your first pattern. Thank you Sue! :) I guess I’ll make sure I’ll buy a coffee from your contribution ;) I’m excited to see your version of the cardigan! 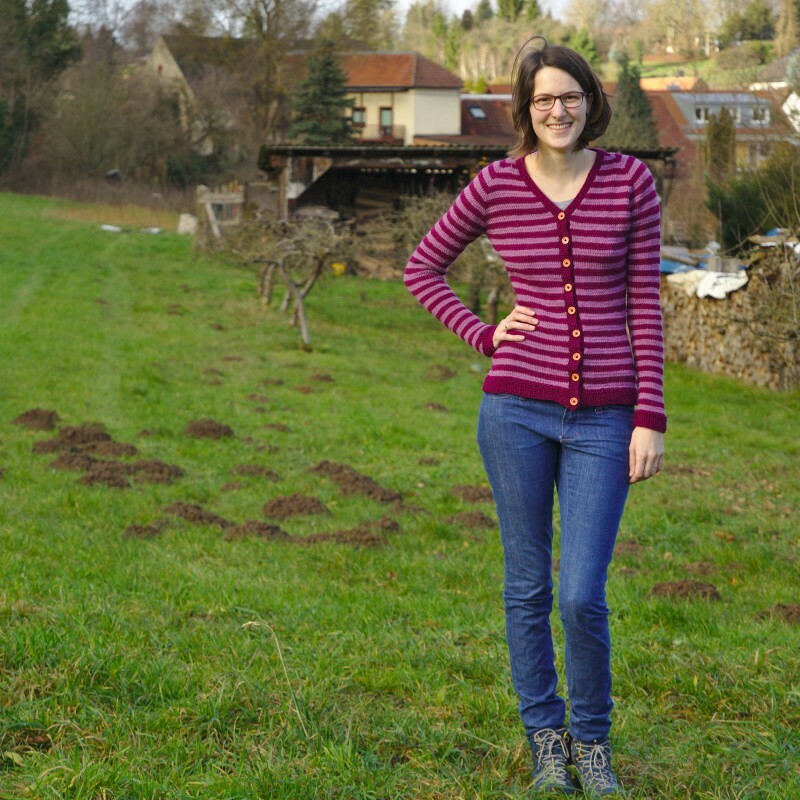 I bought your pattern :) It looks exactly like the kind of simple cardigan I want to knit for autumn/winter. Congratulations on your first pattern release! Cool! I’m looking forward to seeing your version of the cardigan! :) I hope you’ll like the pattern! This is amazing. 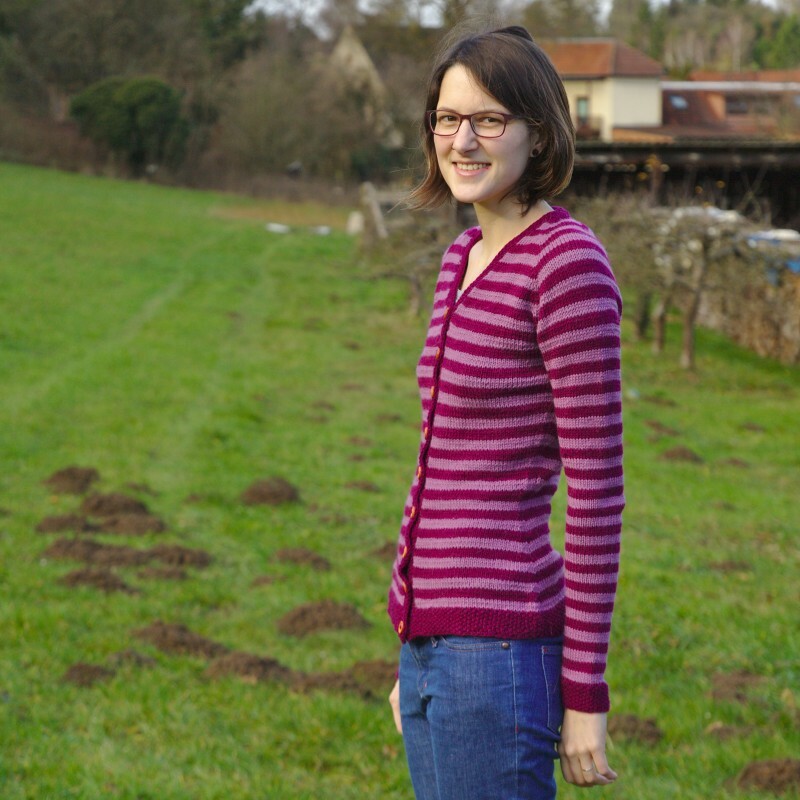 I am so proud of you writing and knitting your own fantastic cardigan. Well done to you! 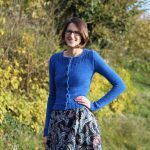 I am currently finding it difficult to fit in crafty fun but when I get the chance I’d love to try out your pattern it looks so beautiful. Thank you so much Caroline :) I didn’t know that you knit!